Crochet Video Tutorial of the Crochet Cross Stitch. There are many variations, but all concepts are basically the same. 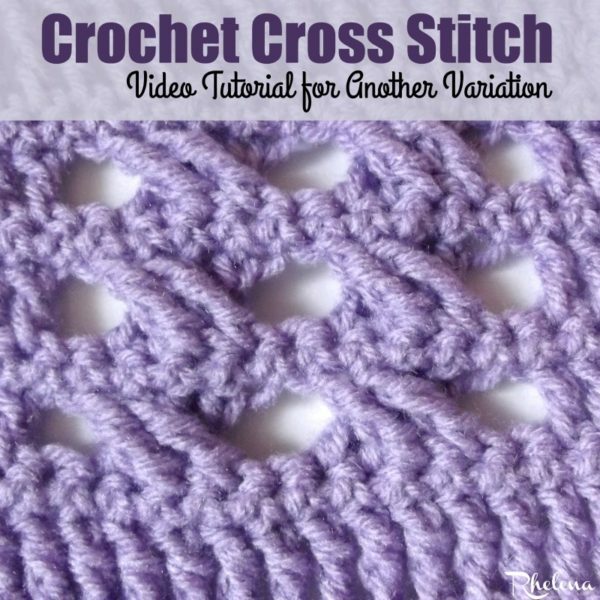 This video demonstrates how to make the crochet cross stitch. 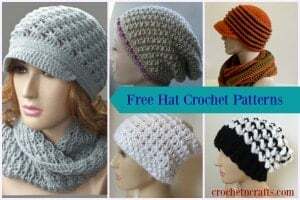 Although there are many variations of this crochet stitch; the concept is pretty much the same as you skip one or more stitches and then you go back and crochet into the skipped stitches. Here you will see how it is worked with triple crochets and over four stitches. Then instead of taking the easy way out and working around the first two stitches made, the last two stitches are worked in front of the first two. This method then leaves a lovely texture on both sides of the fabric. Another beauty of this pattern is that I made a chain in between the crossed stitches in order to give it a nice lacy design. The stitch is great in afghans as you can see in the Comfort Afghans pattern. Or, use it to whip up a cowl, a bag, or anything else that you like.